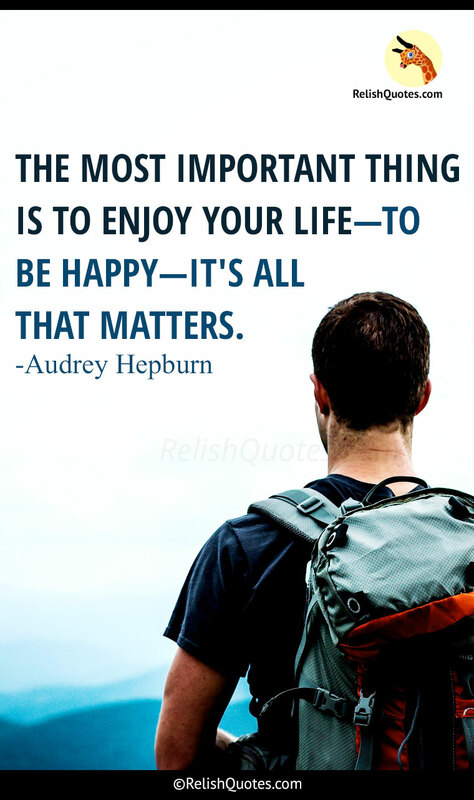 "The most important thing is to enjoy your life, to be happy - it's all that matters." Life is too short to brood over the things of the past. If we want to live happily and peacefully we must practise the art of living. Art of living teaches us to enjoy every moment and be happy. After all that is all what matters!